A photo taken in the northern highlands' Yen Bai Province by donghieuphotography on Instagram shares a deeper story behind it. 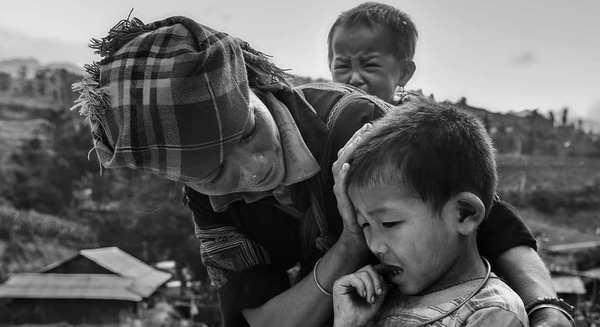 "A Mong woman is calming her son, while carrying her ex-husband and his new wife's baby," the caption reads. A photo taken in Phan Rang by nhanlephotography on Instagram of two people going down a sand dune in the central Vietnam town. Men participate in a tug of war game on Hanoi walking street. Photo taken by tuanchanthat on Instagram. 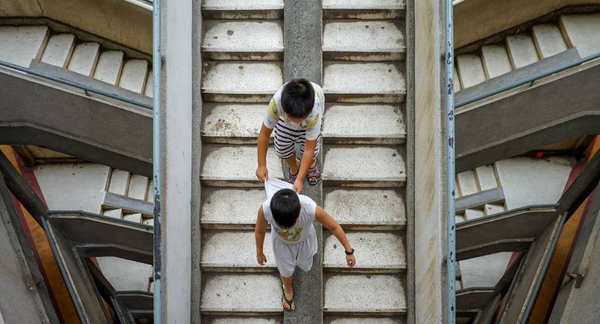 "Two boys slide down the stairway of Da Thanh Apartment, Saigon," andy.ip writes in the caption via an Instagram post. Photo taken at a Saigon bus stop by trongtin131 on Instagram. A photo by le.thang77 on Instagram captures a group of fishers working together to push a heavy boat in the central province of Ha Tinh. 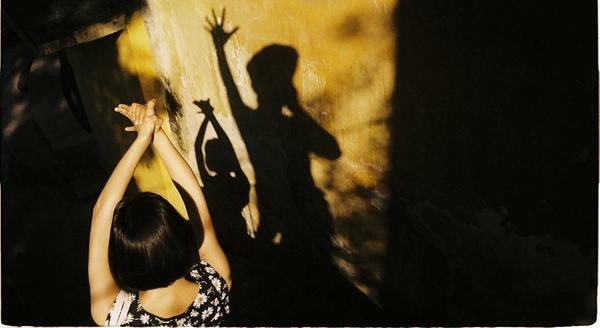 Photo taken in Saigon by tungtindp on Instagram. 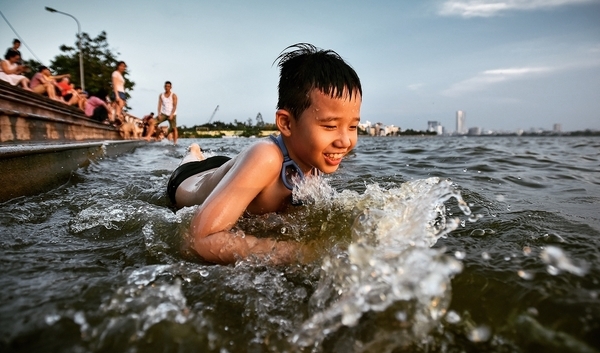 Kids and adults dive into the West Lake in Hanoi. Photo taken by pwin_pt on Instagram. Instagram user nguyenduong1991 posted this picture on Instagram to tell a sad love story in Hanoi. "Most of the photos that she uploaded were taken by her boyfriend. But this is no longer true since he died in an accident," the caption reads. A dad rises from a sea of people to let his kid know that "Dad is here!" The photo was taken in Hanoi during the first day of the National High School Graduation Examination on June 25, 2018. Instagram account s.vietnam shared this photo and credited Vu Khanh ThanhIc. On Instagram, account nasonphoto posted a photo of a man attentive to a World Cup match between Spain and Iran at his house in a rural area of Chau Doc, An Giang Province, southern Vietnam on June 21, 2018. A drone shot captures the unique beauty of fishing nets. Photo taken by phtrung0611 on Instagram.